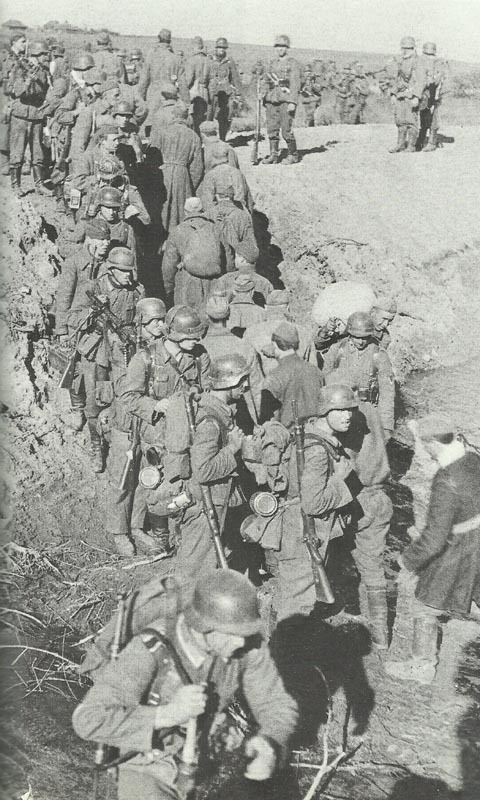 Encounter in the tank ditch on the Eastern Front: German troops march forward, Russian prisoners back. Goebbels announces that 1,500,000 children and 150,000 mothers have been evacuated from cities to safer areas. Czechoslovakia: Mayor Klapka of Prague executed for alleged anti-Nazi activities.